* The Touch pad screen offers simple operation and an ultra-fast display. * Surface disinfectants do not affect the screen as it is completely sealed. * Torque control, with the option of auto-stop, auto-forward, and auto-reverse-forward. * Three standard customizable operative modes. 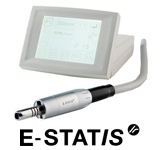 * All E-STATIS components are modular and can be placed wherever you choose. 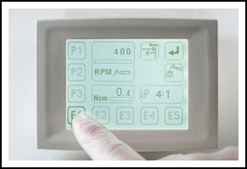 The touch pad is removeable and can be mounted either internally or externally on the dental unit. * The detachable faceplate and the power transformer can be removed and easily integrated into any location. * Three year motor warranty. 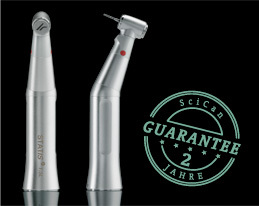 * Brushless technology - greatly reduces service requirements. 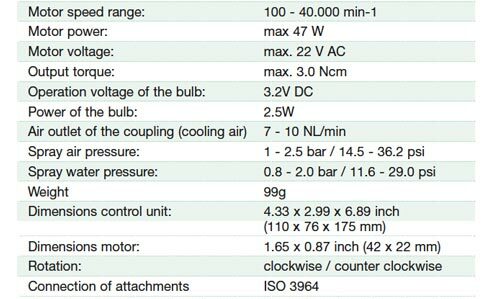 * Short and lightweight motor - motor weighs only 99g. * Programmable Motor Torque from 0.1 to 3.0 Ncm. 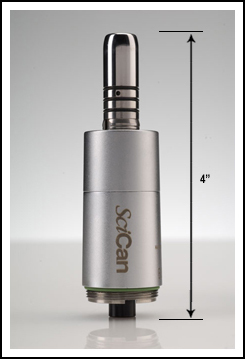 Higher torque increase by use of multiplication handpieces. * 3 preset operative modes. * Calculates file speed in endo mode. * Motor speed range 100 to 40.000 rpm. * Customizable light intensity, light delay. * Presets of all common handpiece transmissions plus 2 customizable transmissions. 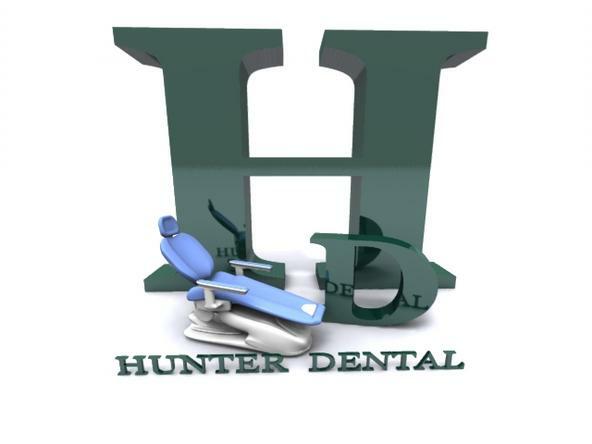 * 5 Preset Endo Settings customizeable auto-stop; auto-reverse; auto-forward; auto-reverse-forward.